Technology in several forms, especially Information Technology (IT), has a strong tendency to converge at varying degrees. This phenomenon of converging innovation is likely to deepen and widen in the future due to intense competition in global markets. Asian manufacturing firms in particular lead the global industrial innovation. Convergent innovation exists as a constant disequilibrium between reference technology and matching technology; innovations of these technologies occur at different degrees to attain an optimal balance. Innovations as a result of convergence are often beneficial, improving welfare and employment. This book sheds light on the little-discussed idea of convergent innovation with examples hailing from Asia. 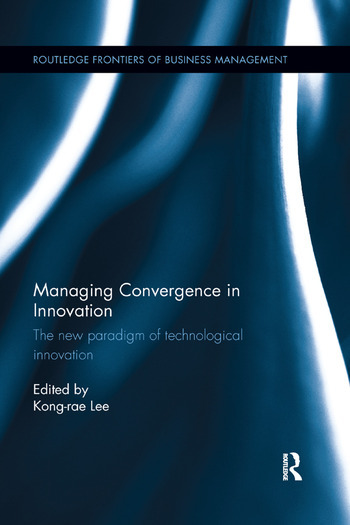 The book also proposes new theories and investigates convergence at the micro level – guaranteed food for thought for academics interested in innovation economics and management. Kong-rae Lee is Chair Professor of the Management of Innovation (MOI) Program at DGIST. He received his PhD from SPRU, University of Sussex, UK. He was a research fellow of the Science and Technology Policy Institute (STEPI), Korea and served as head of the policy division and member of the Korea Academy of Science and Technology (KAST). He also served as policy advisor to Minister of Science and Technology, the Republic of Korea in 1995. His research areas are national, regional and industrial innovation systems, and mega science policies. He has published many books and articles, including the book The Source of Capital Goods Innovation in 1998.